Our HI mission, defined in 1932, is one of the earliest definitions of sustainable tourism. 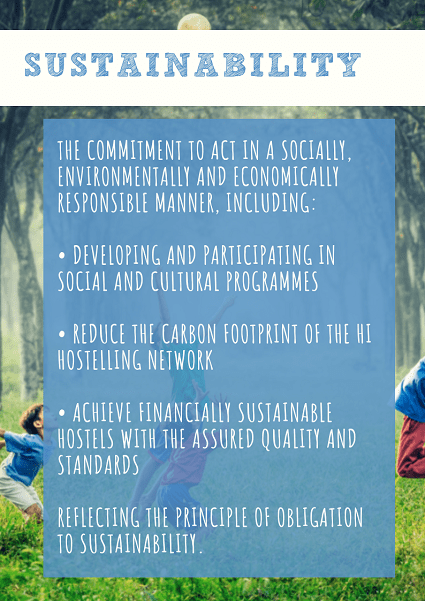 Hostelling International is dedicated to promoting sustainable tourism practices among our members and National Associations. We are committed to achieving a worldwide network of sustainable organisations and hostels. With more than 100 years of experience we work continually to improve and expand our network to new places, working with governments and voluntary agencies to create the same practices and high standards everywhere. We believe that hostelling is not just about having a place to stay; it's about having fun, experiencing different cultures and meeting new people. This is why we work with Youth Hostel Associations worldwide to provide the best environment for you to thrive in. "Hostelling International provides a global village of quality accommodation for people from all countries and cultures to meet and learn from each other." HI want you to enjoy your hostel stay, and being a non-profit organisation means our money is put back into the organisation to make the experience better for everyone. 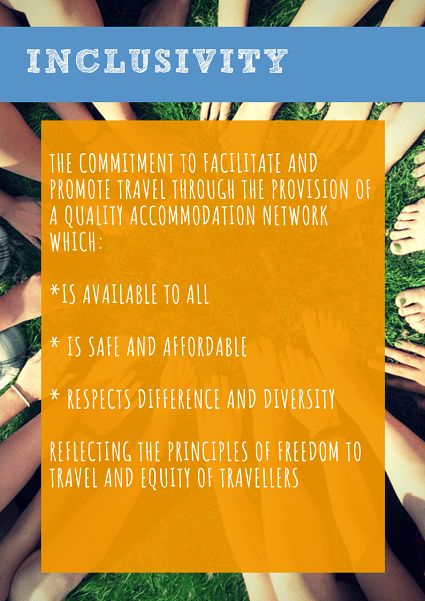 The youth hostelling values are guiding principles that define shared beliefs and behaviour, reflecting what ‘ought to be’ and being ‘lived’.